Jamie is rebuilding his life after his previous escape from the Pilo Family Circus, with no memories of the circus besides the clown outfit in his cupboard. Far below, as the circus stirs back to life, Jamie finds himself filled with urges to be a clown again (making inappropriate jokes at work, an urge to put on his clown outfit, etc.) He also finds that his friends and family do not trust him, because of that night he was found by police in a clown suit with blood on his shoes, and no memory of what happened. But there are those who do remember what happened. As the circus rebuilds itself, seeking out past performers and enslaving new cast members, Jamie finds himself drawn back into the dark world of the diabolic big top. But this time, the clown paint has no effect on him. His evil twin -- JJ -- is dead and buried. Jamie believes there is no way to bring back that twisted side of himself. That is, until the body is found and reanimated . . .
Will Elliott came to international attention when his debut novel, The Pilo Family Circus, won five Australian literary awards. In America it was short-listed for the International Horror Guild Award for best novel. His development as a writer began at nineteen, when Elliott dropped out of law school and was diagnosed with schizophrenia. With influences as diverse as Chuck Palahniuk, Bret Easton Ellis, H. P. Lovecraft, and early Stephen King, his writing is at turns creepy, violent, spare, and wickedly imaginative. 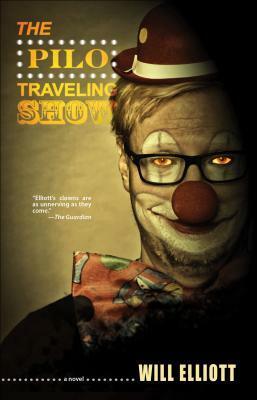 He recently completed an fantasy trilogy before returning to the clowns of the Pilo Circus.